I attended a Barolo and Barbaresco tasting a week or so ago, and it’s fair to say the average quality was remarkably high. A sort of nebbiolo “oh I get it” moment. 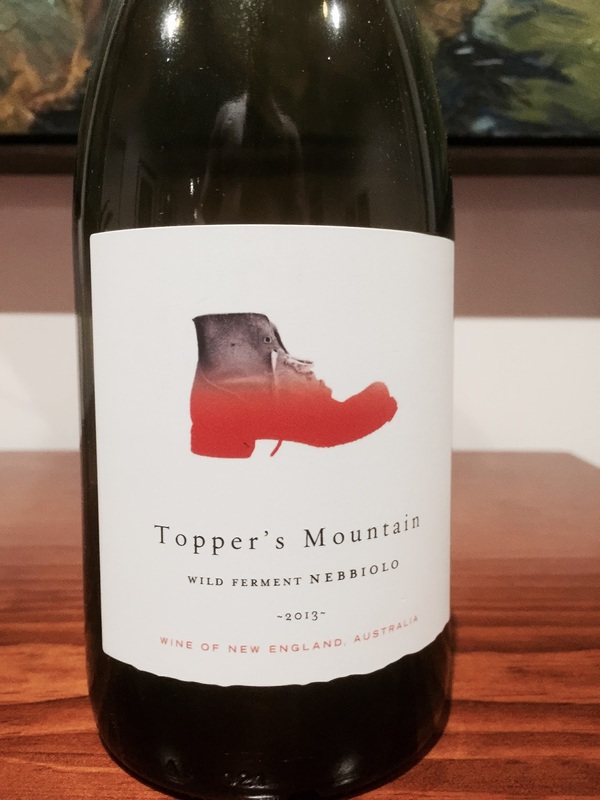 This is an Australian version of nebbiolo from Topper’s Mountain in New England. It’s a lighter expression of nebbiolo with some attractive characters. The 2013 tasted here has aromatics of esthery cherries, and then florals with some air. The palate has bright cherry characters, and good balance between its acid and tannins. A pretty good example of a local nebbiolo.